I received this camping lantern and fell in love. Not only does it look sharp, but it has a ton of features to it! 1. Light. This has a regular light and an extra bright light. It also has a solid red light and a flashing red strobe. You can toggle through each setting with the push of the button in the front. 2. Batteries and more batteries. There are rechargeable lithium ion batteries that go in the bottom, and there are regular AA batteries that you can put in the top. If you have both of them in, fully charged, the light appears so much brighter! (I LOVE that it comes with batteries). 3. Charging station. It comes with a USB/Micro USB adapter cord. 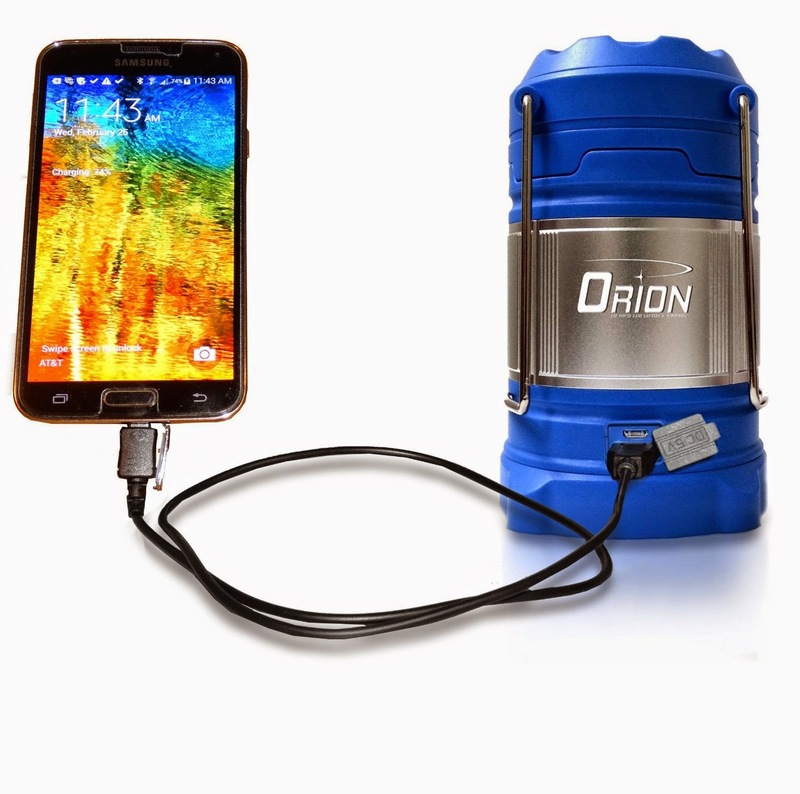 You can do a few things with this -- you can charge the lithium ion batteries with your laptop, for example.... you can charge your cell phone or other Micro USB personal electronics like MP3 player or tablet, by plugging it into the lantern and charging!! Super cool for when you are camping for sure! 4. It comes with some clips to hang it, and the lantern turns on by pulling it up and "opening it". You turn it off by closing it so it becomes compact in size. I love these types of products because I am so used to the power going out in our house, and we used to always go camping. We just bought a tent and we are gathering more camping supplies now, so we can go this summer. I am super excited, and will have this at the campsite for sure. Essential fatty acids are required for our health. Our bodies cannot make them on our own, which means we have to get them from our diet, or supplement with them. These include omegas. When many people think of the omegas, (omega 3, 6 and 9) they think of fish oil. I do not eat fish very often at all. Salmon I eat maybe once a year, and tuna maybe 3 times a year. I have a mild allergy to shellfish so I don't bother eating them at all. And also you hear about how farmed fish is horrible for you, and how there are mercury and other heavy metals in the fish.... not to mention taking supplements and worrying about fish burps at work. 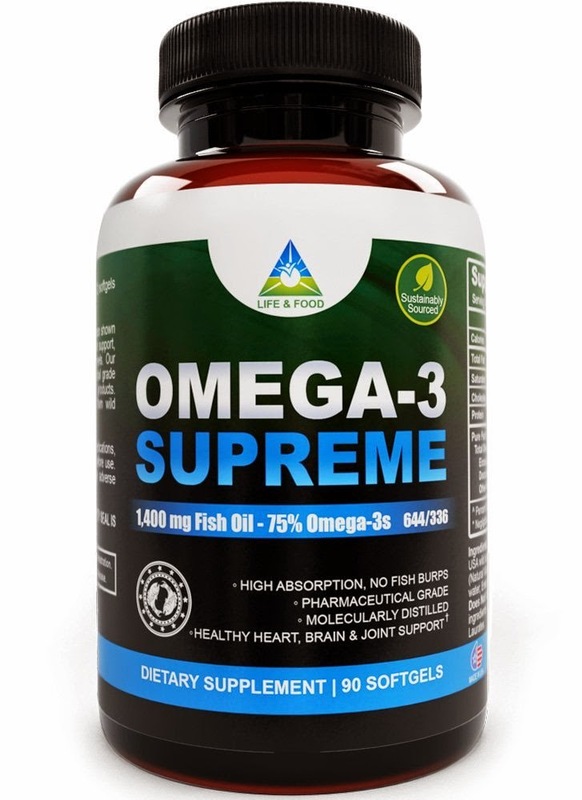 So I tried Omega-3 Supreme Fish Oil. 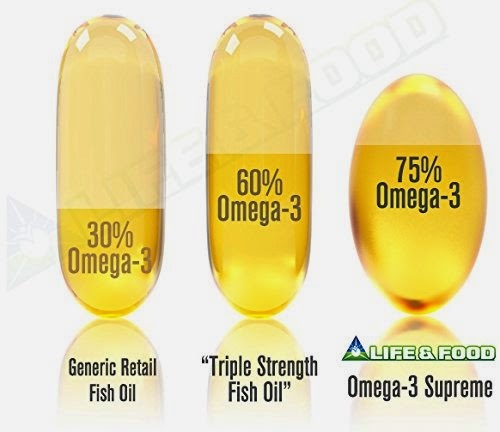 They may look similar to other fish oil supplements but they seem to be superior. They have more than 75% Omega-3s and they are sourced from wild Alaskan caught polluck in a sustainable and certified operation. The pills are enteric coating which helps absorption, and also helps you -- HAVE NO FISH BURPS!! The pills are easy to swallow, not as large as some of the others I have used in the past. joint support - shown to reduce inflammation! I take fish oil every day, and also feed it to my dog. It improves his coat, however it also helps prevent arthritis. He is at high risk right now so it is important to take care of him. 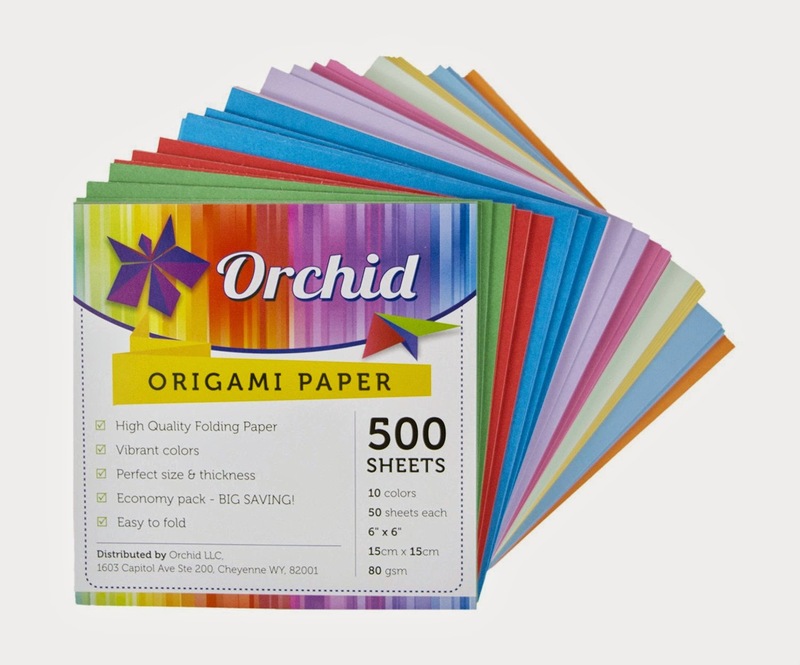 Once I got this Orchid Origami Paper, I invited my friend's 11 and 13 year old daughters over to my house to play with me! What fun we had. There were so many bright colors, 10 different ones, and there were 50 sheets of each color. We had fun folding the paper as you can see from these pictures. But I have to admit that it was HARD! It wasn't as easy as it looks. 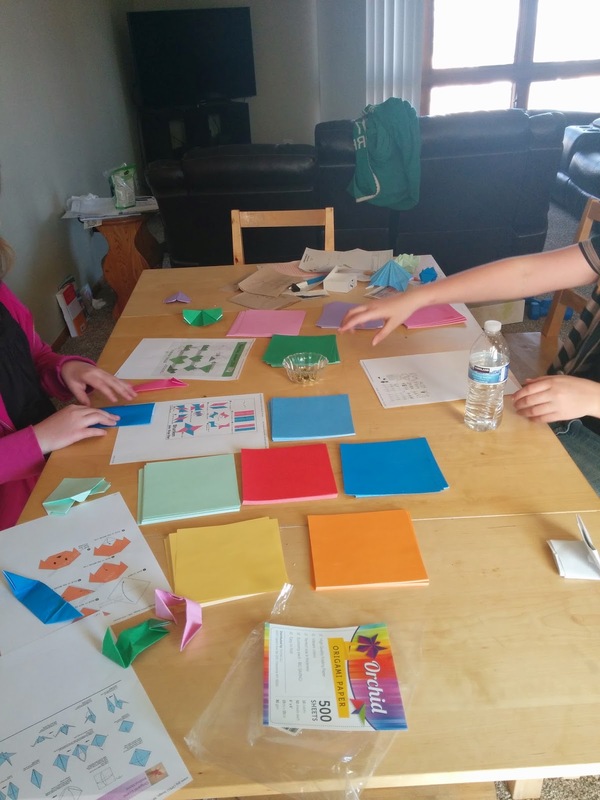 I printed some instructions of different shapes and creatures to make -- there were some very intricate instructions for things like dragons and ninjas! We could not figure out half of them, and stuck to the easy items like 3D hearts and even a frog! The requisite paper crane was made, and a lot of fun was had. The origami paper is white on one side, and colored on the other. This really helps when folding! 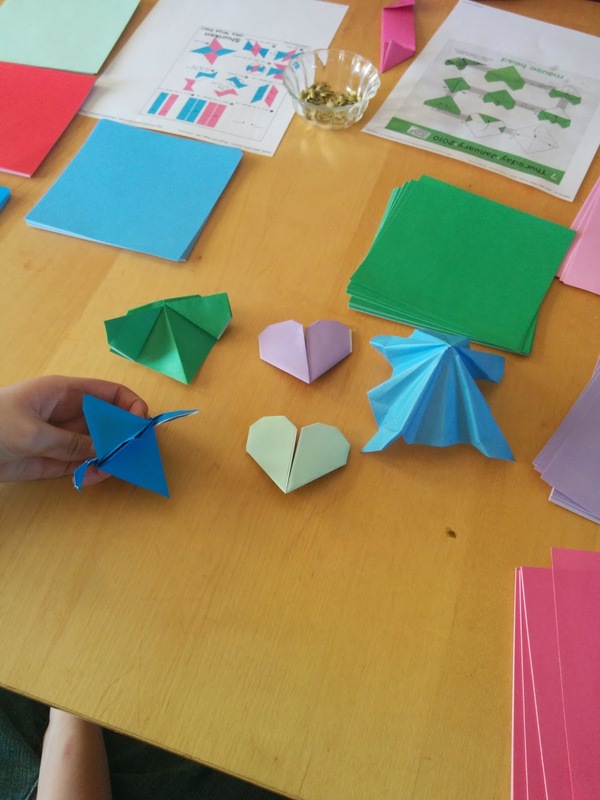 It is inexpensive, and there are enough to go around, so have a party and let all your friends start making origami! I love getting testimonials from my customers. Here is one from a customer who had an emergency appendectomy. She wasn't sleeping well afterward, probably as a result of the meds and anesthesia. "After having an emergency appendectomy I was still feeling pretty horrible 4 days later. Knowing that I have a hard time detoxing from meds I remembered that I still had some foot detox pads left. I put them on my feet before bed and quickly fell asleep - which was surprising since my anxiety had been making it hard to get to sleep. In the morning when I woke up I didn't feel like a zombie and that day I felt significantly better than the previous day!" I always wish that I didn't have to go to the doctor's office to check for a UTI, or to see how things are doing in my body. Most of the time everything is fine, and then I waste a few hours at the clinic. 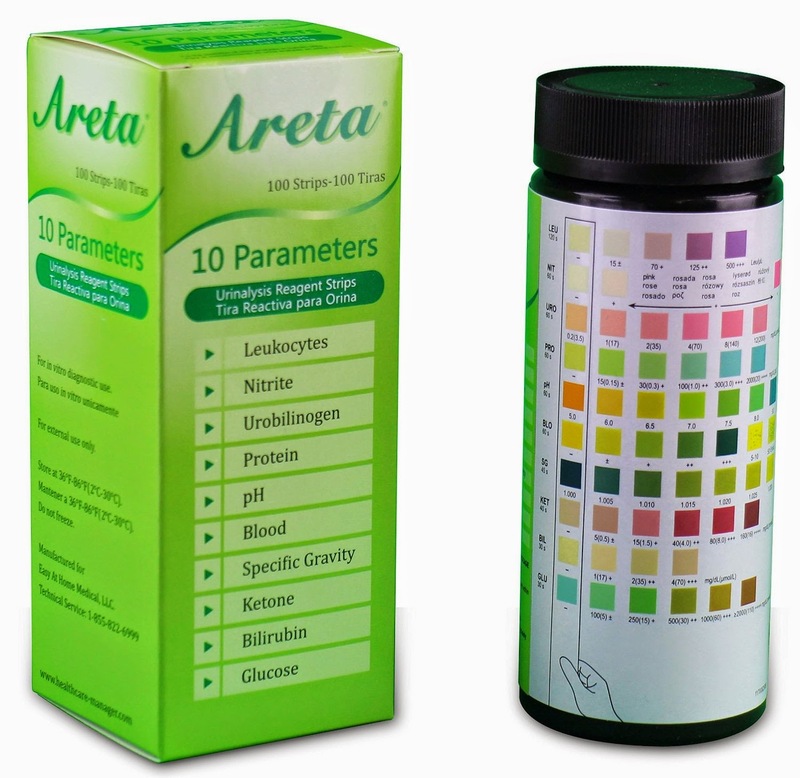 With these awesome urinalysis test strips from Easy@Home Areta, I can! Glucose, Bilirubin, Ketone, Specific Gravity, Blood, pH, Protein, Urobilinogen, Nitrite and Leukocytes in your urine. These test strips are useful in the preliminary screening for diabetes, liver disease, hemolytic diseases, urogenital, and kidney disorders. The package contains one bottle and the bottle contains 50 Strips, easily used within the shelf life, no waste. (The test strips are good to use for 90 days after opening). Glucose: the most common test for diabetes. Protein: (albumin): tests for kidney function. Specific gravity: evaluates the body's water balance and urine concentration. Bilirubin: could indicate liver or gallbladder problems such as gallstones, hepatitis, cirrhosis or tumors. 2. Just compare the reagent areas on the strip and the parameter corresponding color on the container. So many people have purchased NutraSilver to help with earaches. They are definitely no fun, especially when your child is in so much pain. It is safe for babies, kids, adults, and even whiny teenagers in pain from an earache. There are a ton of different ways to treat an earache naturally, but I do believe NutraSilver is quick, painless, easy and best of all, it works! "My sweet little girl woke up in the middle of the night crying about her ear hurting. So I got out the usual warmed rice pillow and massaged her ear. But after a few hours of her crying in pain, I realized that this time it wasn't enough. So I got out my Nutrasilver and looked up online how many drops to put in her ear and for how long. I put one drop in her ear canal (she would only let it sit in her ear for about 5 minutes), and wiped up the excess with a tissue. After a short amount of time (no idea how long really, early hours of the morning tend to blur together), she FINALLY fell asleep. Not only that but she STAYED asleep for the rest of the night. This morning, she says her ear doesn't hurt! Hurray! Thank you Purify Your Body for the great product and for the amazing price!!!" NutraSilver is a REAL TRUE colloidal silver with an extremely high particle surface area. You can read more about it here and here. You can click on those links and find out the differences between the silver solutions that are on the market. NutraSilver will NOT turn you blue if you take it internally. It is PURE colloidal silver and does NOT have chlorine ions that may cause you to turn blue, so you are safe. It has SO many benefits. It comes in 1 oz bottles with 600 drops in each bottle. If you use it in your ear (1 drop per ear, 2x/day) then it will definitely last you a LONG time. The shelf life is infinite. Forever. Even if you leave it in the hot sun. 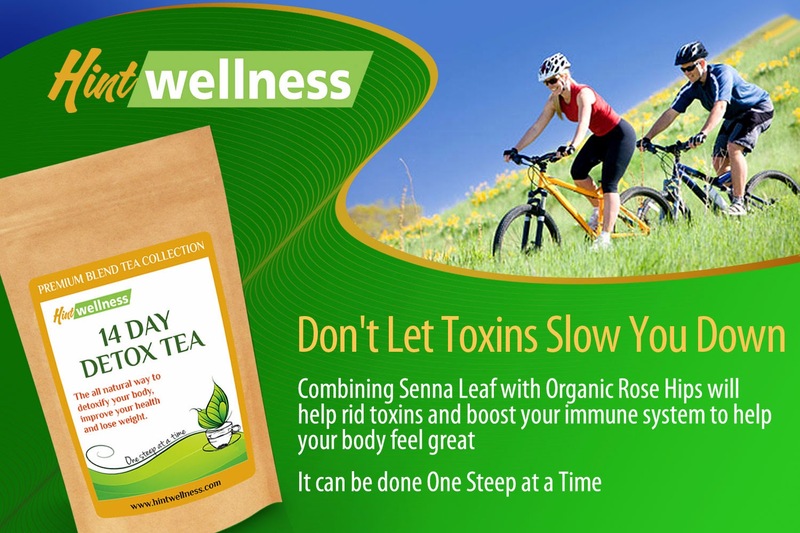 This 14-day detox tea from Hint Wellness tastes great. I started using it about a week ago and I have about a week left to go. While I do not know if it works for weight loss, I do know that the ingredients are well known to help stimulate weight loss. The ingredients are: honey bush, senna leaf, goji berries, rosehips, lemongrass, dandelion, sarsaparilla, ginger, orange peel, plantain, milk thistle, lemon balm, fennel, and natural flavoring. Dandelion and milk thistle are liver detoxifiers and tonics. Ginger helps with inflammation. Senna is a natural laxative. I am not super familiar with the effects of the rest of the ingredients except that they taste good. 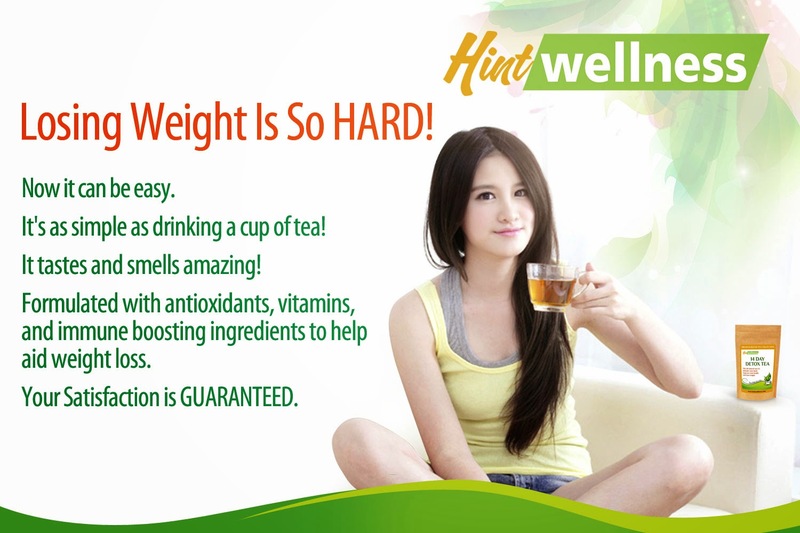 The manufacturer claims that this tea detoxifies your body and helps you to lose weight. 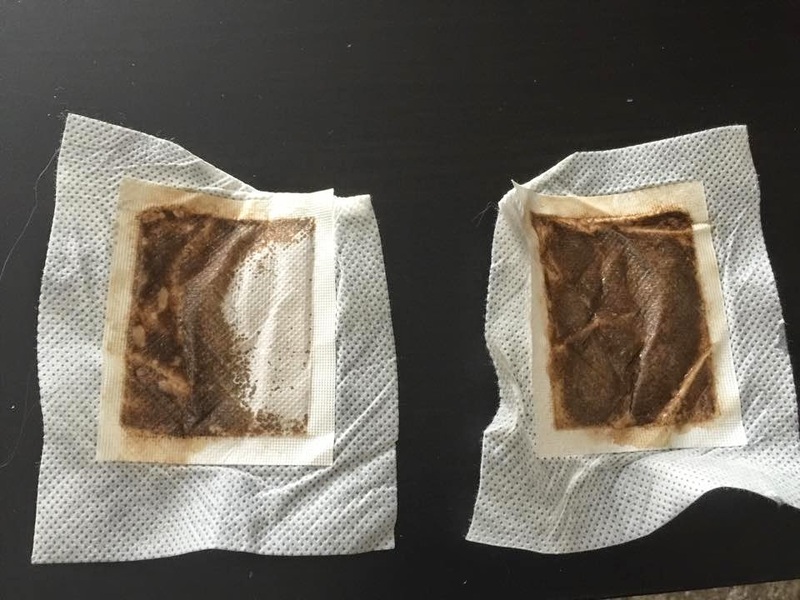 I know the herbs in the tea will help detoxify, and possibly help lose weight, but the natural flavoring is one that I am not very comfortable with. It is a generic term and can be harmless, or it can hide many bad ingredients. Since then, I have been using my French press. The French press is easier to get the loose tea into, but it means I have to clean it out after each cup, which is a chore. I just want to share my experience. It DOES taste great, and I love a good cup of tea, especially at night before I go to bed. I can try to relax (I am still working on this whole "relaxing" thing) and sip the herbal tea. Hint Wellness offers a money back guarantee if you are not fully satisfied.